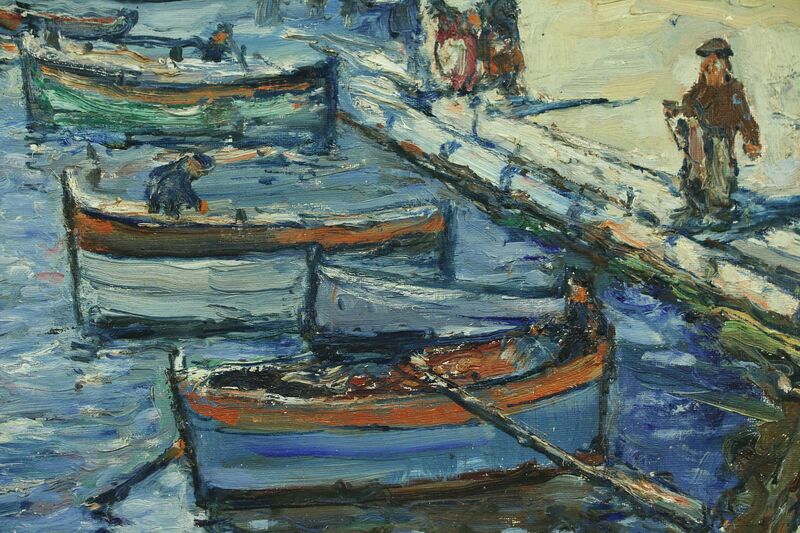 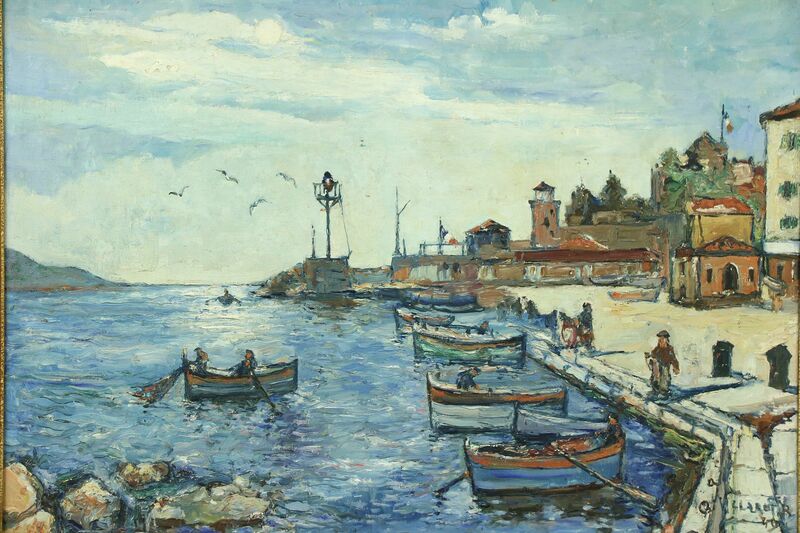 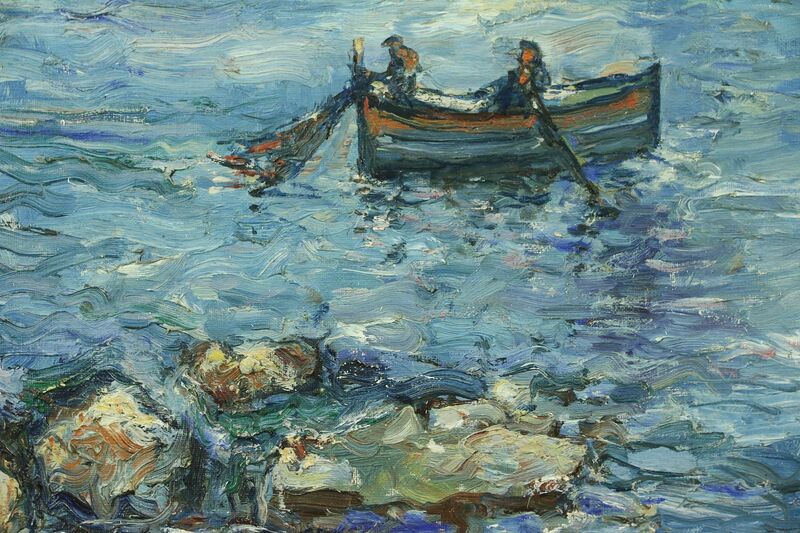 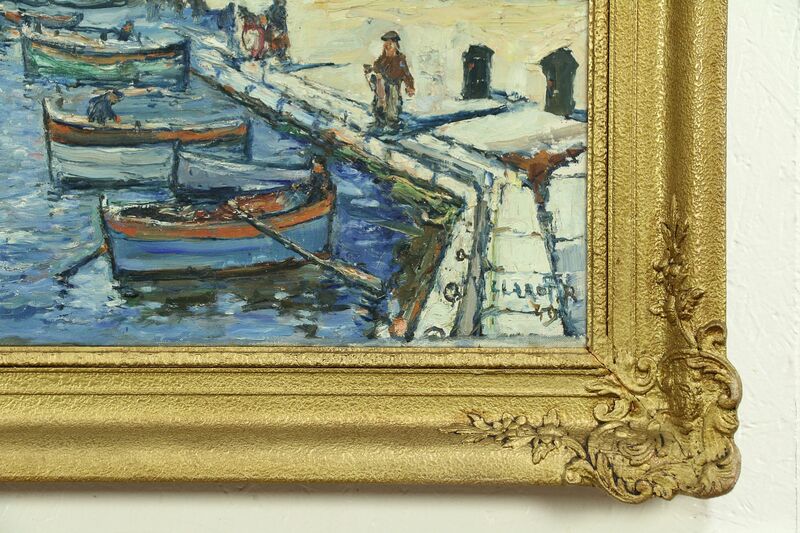 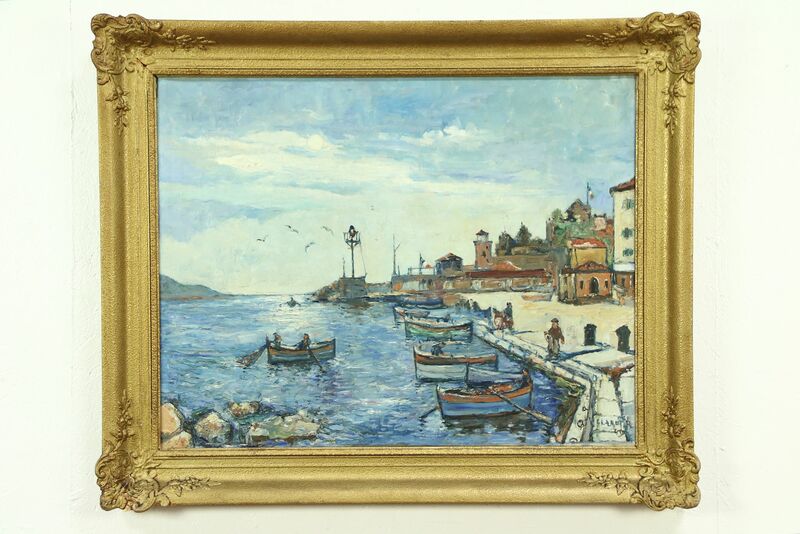 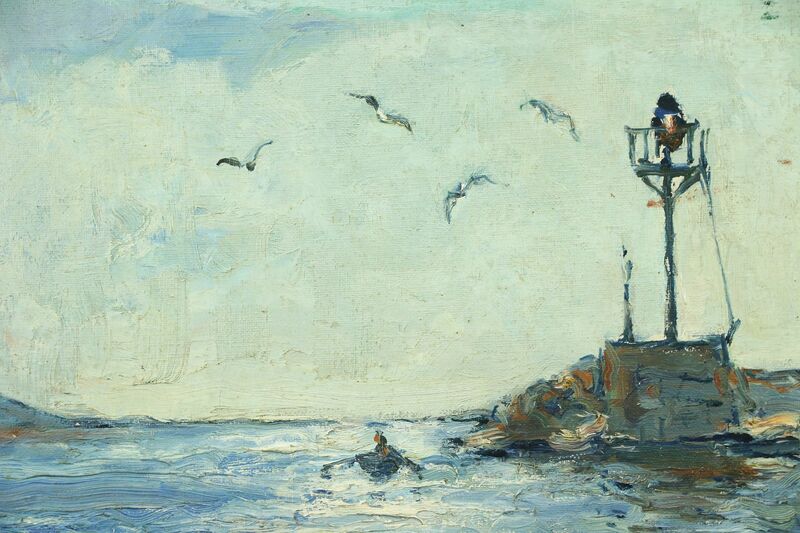 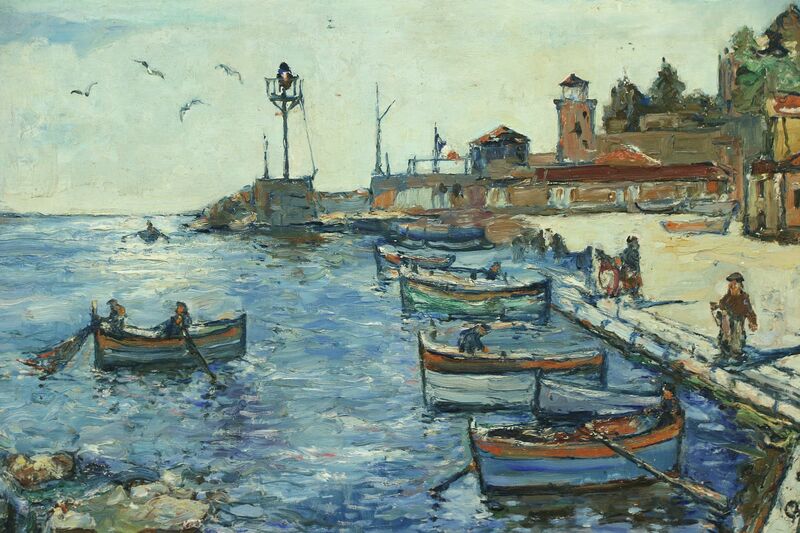 A scene of fishermen returning to the harbor is the subject of this original oil painting, signed illegibly at the bottom right. 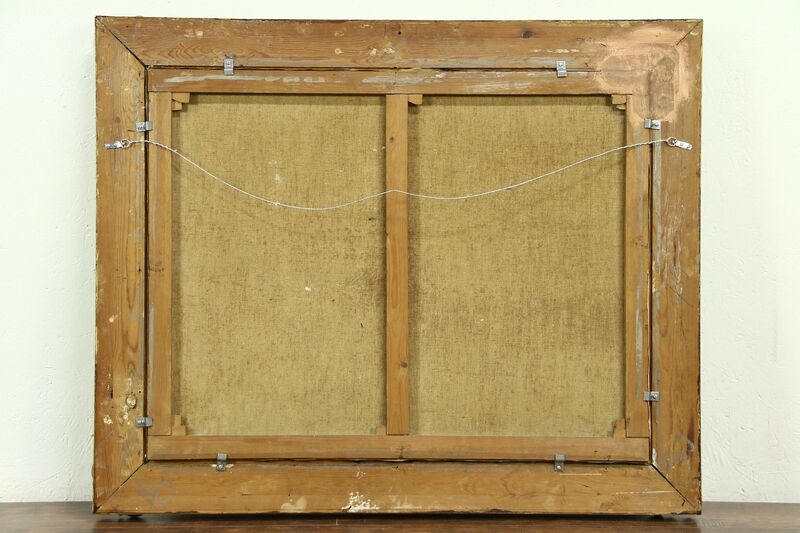 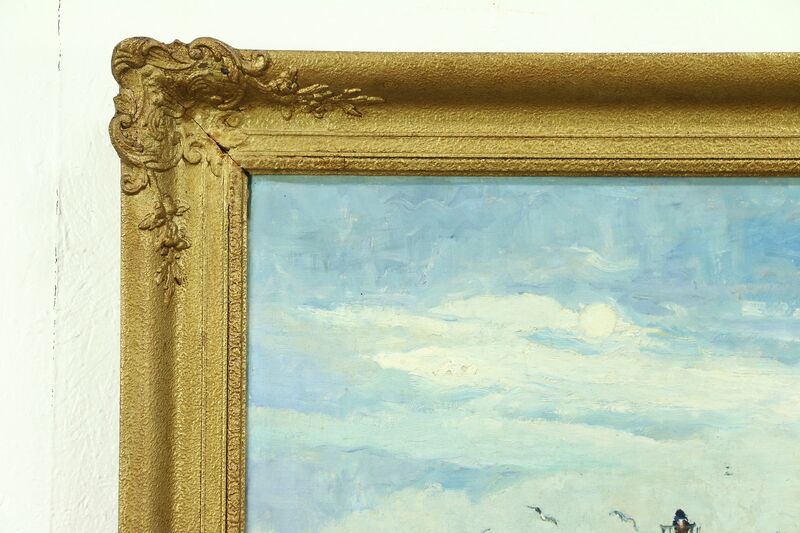 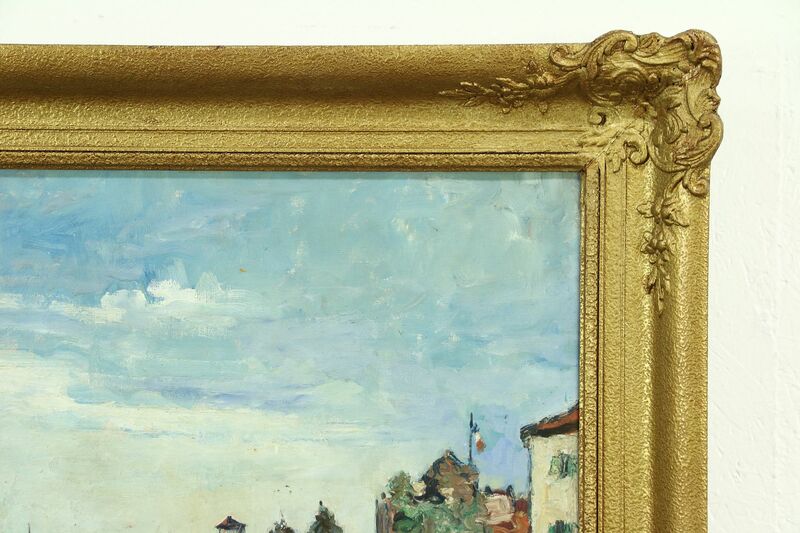 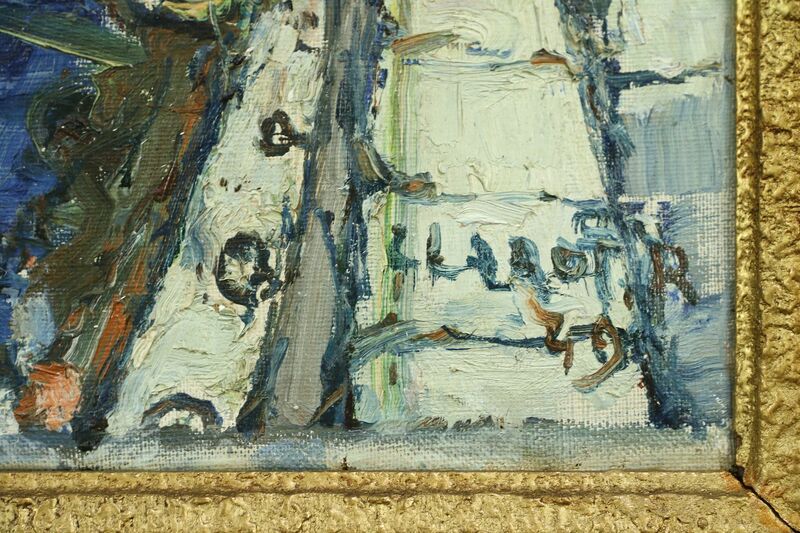 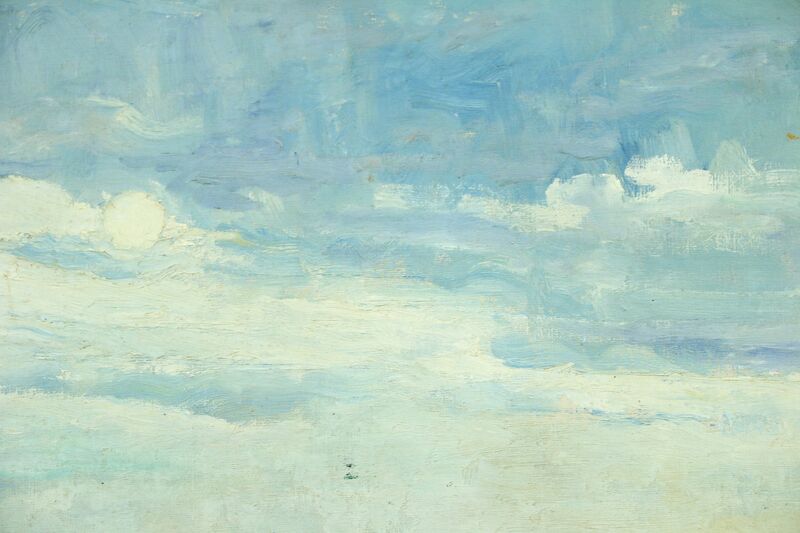 The canvas is undamaged on this antique work of art from about 1900. 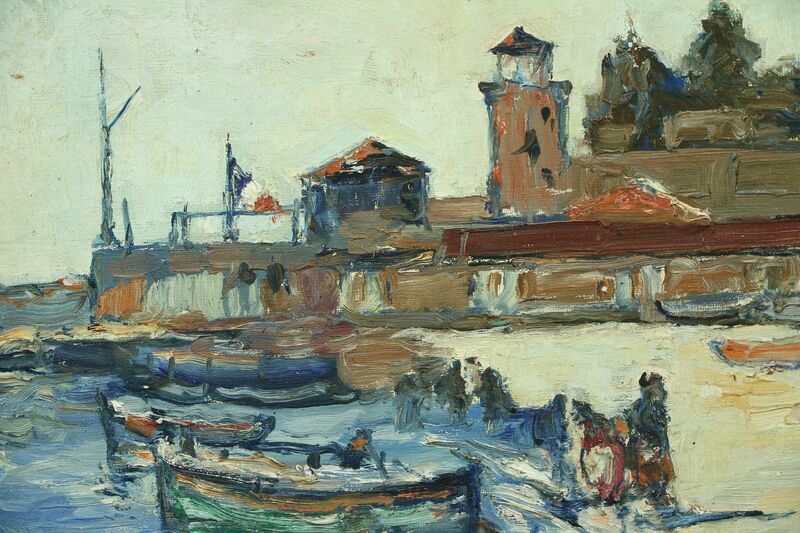 Beautiful towers and buildings depict a sea side town in Scandinavia with a lighthouse. 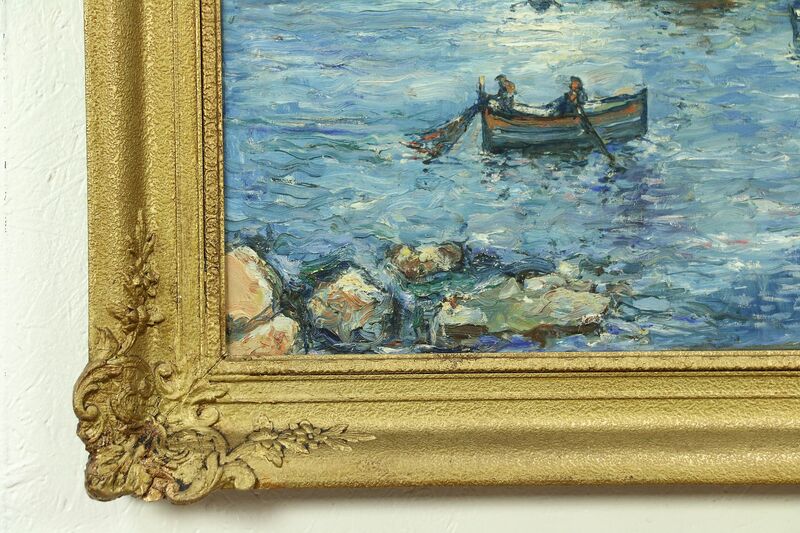 The textured gold frame is original and in very fine condition as well. 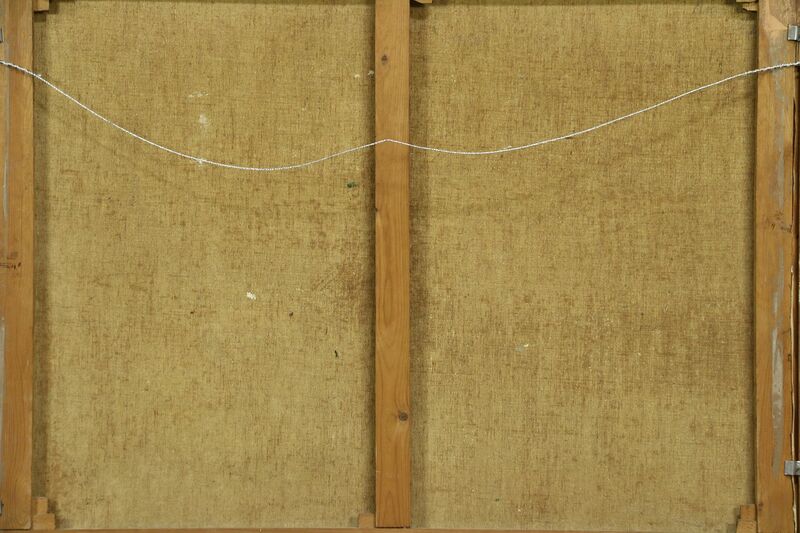 Overall size is 43 1/2" wide, 2 1/2" deep and 36" tall.